A trip across the water to the 51. 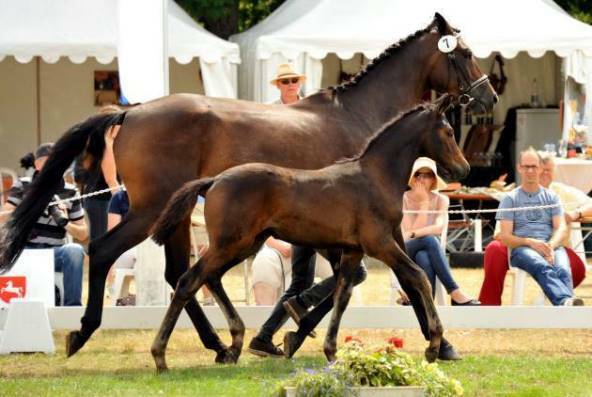 Trakehner Hengstmarkt 2013 in Neumunster, Germany proved a very fruitful journey when Paul and I were successful in purchasing this beautiful bay filly with the most incredible bloodlines. 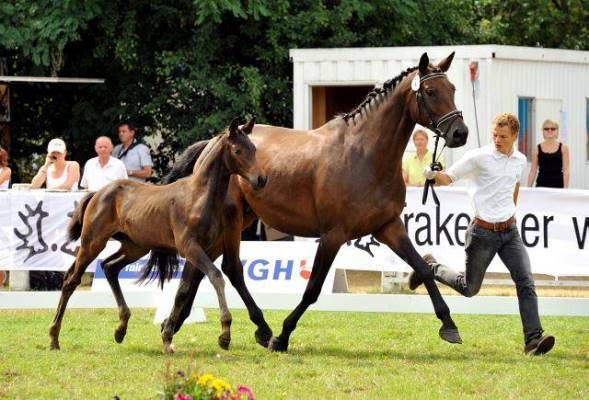 She was bred by Jutta Arens out of the Agatha Christy mare, Ava II Pr.St and by Saint Cyr. 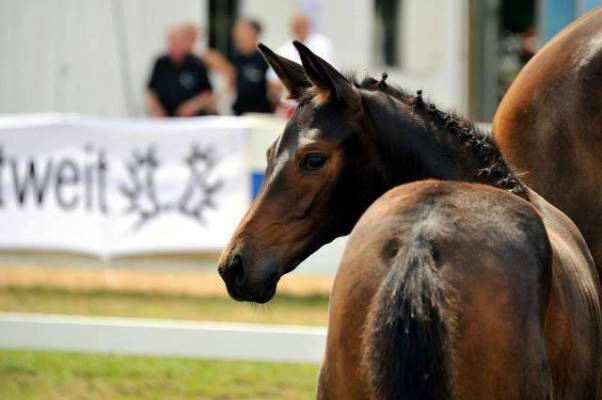 In the Summer of 2013 Arensa became Reserve Champion Filly of the Hamelschenberg and Lower Saxony-Hanover Foal Championships and included below are some of the photos taken from this show. 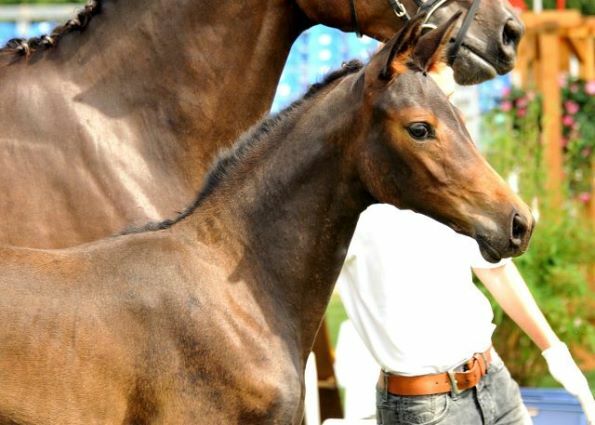 Arensa is the sweetest natured filly with the most endearing character and compliments our Warrawee Trakehner herd.